Device Recovery can recover deleted, lost photos, videos or audios from all your devices like mobile phone, camcorder, camera, etc. The software is designed to recover files from SD Card, hard drives, CD, DVD, USB drives, digital camera, camcorder, smart phone, etc. Easy to use, recover deleted photos, videos and audio files in a few click. Recovers photos from digital camera, external hard drives, CD, DVD, USB Drives, and memory cards. Raw recovery from all the major digital cameras. capabilities to recover the lost, formatted, deleted, damaged data from partition or hard drive. Can I recover deleted videos from Canon Vixia? 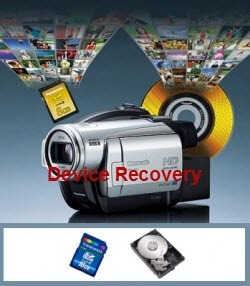 Device Recovery can recover deleted photos, videos from devices like mobile phone, camcorder, camera, etc. Device Recovery for Mac provides a tool for recovering or restoring deleted files on Mac, Mac Lion. 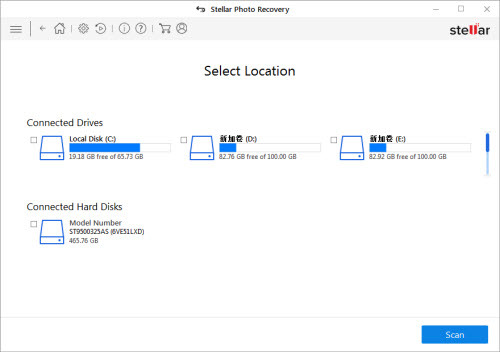 How to recover deleted or lost photos, videos files from devices like mobile phone, camcorder, camera, etc on all windows and Mac systems. For outdoor sports funs, GoPro Hero is the most popular camera for shooing high-definition videos when play surfing, jet-skiing, water skiing, motorsports, etc. Because the features of wearable, waterproof, shockproof. However, when accidental deletion, corruption or formatting happens, it is annoying and painful. Is there any way to undelete lost photos, videos from GoPro HD Hero camera? The newest Nokia Lumia 1020 is the flagship of Windows 8 phone. The highlight of Lumia 1020 is camera. Using it, we can shoot high quality pictures with 7136 × 5360 pixels like a pro camera. However, if we lost these photos from Nokia Lumia 1020 by accidentally deleted, memory card error, failed to copy, etc. Don’t worry, here we will provide a simple method to undelete/retrieve deleted photos from Nokia Lumia 1020. Can I recover deleted photos or videos from Canon PowerShot?